Amateur boat builder, building and sailing boats and fishing around the island I live on in Turkey! Hi, my name is Hüseyın and I live on the busy little island, Cunda (Ayvalık-Alibey adası). I'm building small wooden boats, fiberglass boats, trimarans and I also refurbish old boats. I need a second set of hands on this job. 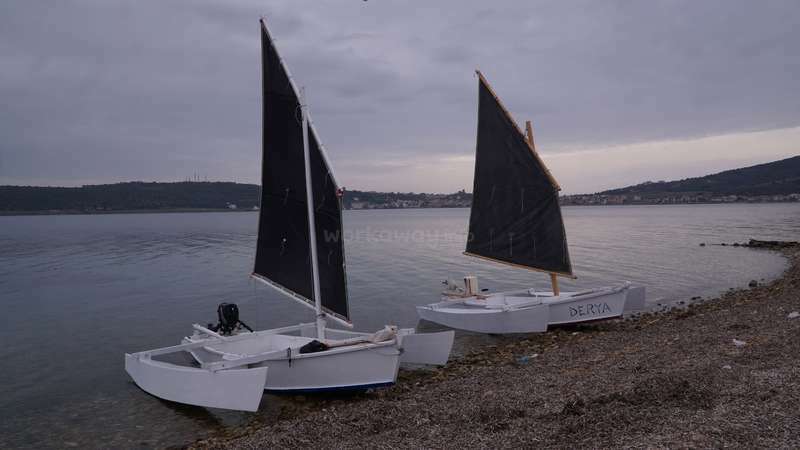 We will work together on the planning and building of small classic boats (3-5m). 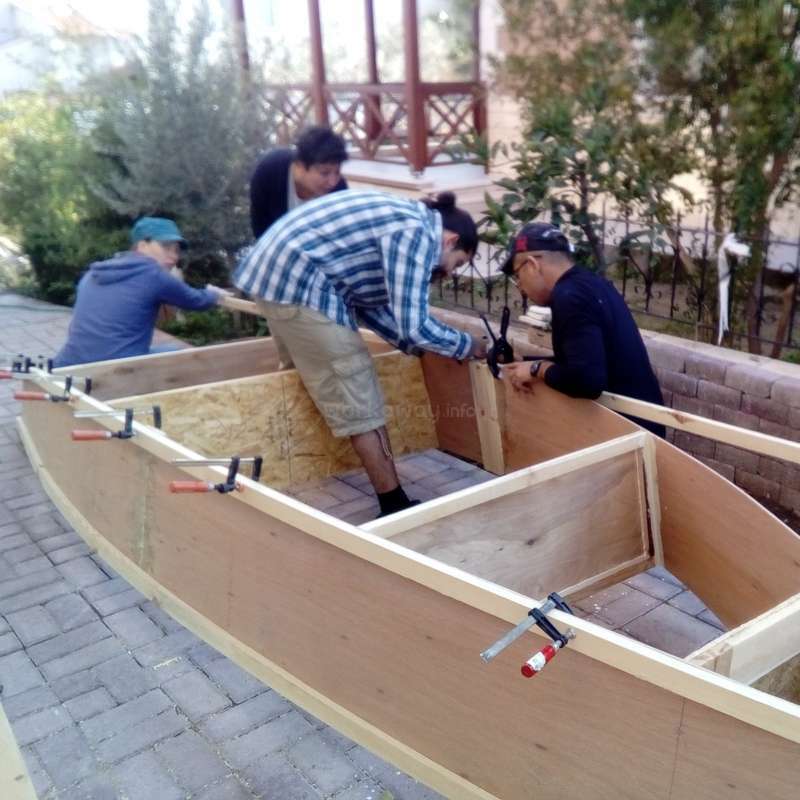 You will learn how to use power tools and experience the satisfaction of shaping and buiding the boats with your own hands! Many of my family members and friends also live nearby and we often share meals and help each other with various projects. I'm an amateur saxophone player, motorcycle mechanic, boat builder and chef and I like to expand my skills and try something new. I have worked and traveled around the world. 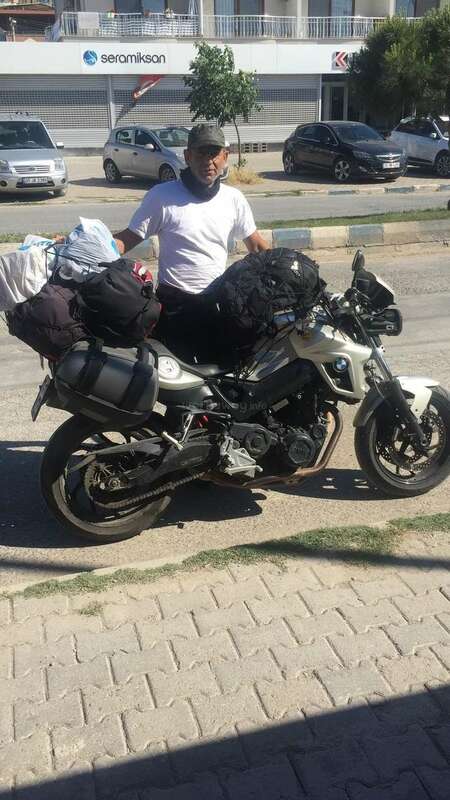 In the past year, I have taken some long motorcycle/camping trips in the Balkans, taught myself to play sax, and volunteered with refugees in Greece. I join motorbike festivals and make music on the streets. There are many historical places and beautiful natural beaches around the places where I iıve. I can also share my life experience and lots of travel stories! You are welcome to join me in preparing and eating meals, you are also welcome to join me in my daily turkish life, trips to the bazaar, motorcycle festivals with my club, sailing around if the wheather is good. I'm interested in cleaning the beaches on the island. Hopefully we can spend some time cleaning the beaches near my home near where we sail with the boats. Shared shower & WC, shared kitchen and living room. Healthy Turkish meals will be provided. There are many beautiful places around (one of the longest beach in Turkey: Sarımsaklı), also very close is the 3rd biggest city in Turkey (İZMİR). Swimming is possible until December and you are welcome to join me in my daily turkish life: trips to the bazaar, motorcycle events/festivals with my club, sailing around if the wheather is good, fishing. You will have free time everyday (it is convenient to walk and there are buses nearby). We can make arrangements for work time but it would be great if you are interested in joining the daily life. What a great time! First of all i want to thank hüseyin and his whole family and friends for making me feel welcome from the first day on. They opened their door and their heart for me and i really apprechiate that in that one month i stayed, they alweys shared their honest and open minded thaughts and opinions with me . Hüseyin has a awsome mind… read more and is verry cooperative. also he is extremly skillful and creative . He teached me not only how to paint, polyester, cut wooden pieces, what latin sailing is and many more, also we had verry good talks about a lot of different topics where i gaint so many new thaughts and views. We worked with Johanna for a month, we had fun, we traveled, we talked about a lot of things, Johanna is a brave, courageous, emotional, participant, entertaining, open-hearted and honest person. From the first moment we met, she became an indispensable member of my family. In addition to being extremely talented in domestic affairs, she has also… read more shown highly creative and active activities in the field. During time with Johanna, she learned about polyester coating, fiberglass applications, lathe, electricity, welding and carpentry logic. In addition, she learned to how to build sailboats, master sails, windshield rudder, anchor . Latin sail, gather, rudder. We did the painting of the upper deck of the yachts in the 6.5 meter yeltes halley boat, the paste in the carina, the installation of the engine, the toxic paint operations together with Johanna. Together with Johanna, we made a 3000 km motorbike ride including 18 March Çanakkale motorbike events, a canoe tour and a tour of Istanbul. We participated in 12-meter scuba diving, clearing the island, clearing the grasses of the site, She did German language practise with the students in the language school. Johanna is a talented musician, we had fun in the workshop. I will never forget you, my little angel. I hope all your roads is open, all your life is as beautiful as you. Sadhana is cute , polite , hard working , cooperative , clean , smiley, nice person. She join my daily jobs for short period of time however she contribute a lot . we let my little sail boat swim after the big storm it was in the deep of the sea. She clean all the greens from the main road of the site. She is very good at sanding of the old paint.… read more We had parties on my back yard and fun . I hope all the best to you on your life journey my young friend. They are very good at skin of the oranges ;-) . During their stay we did a lot. They learn how to paint , putty , fiberglass, polyester , carpentry , some principles of mechanic , how to use tools , how to cook Turkish dish . They are cooperative , honest , team work , emotional , friendly , talkative , clean , trustful , responsible people. We… read more couldn't sail because of the whether condition however they know Technic of sailing . We shear many during their stay. We have had music , fun , travel long distances join the parties and so. I will always remember you guys. I hope all the best for you and I hope you realize your dreams. Huseyin created the place full of friendship, creativity, motivation, team work. total efficiency in work help you to become more than you are. He is able to teach you very delicately but firmly and persistently. I saw and felt the real Turkey of clever and deep mind people ! My heart is filled with… read more great gratitude to you I am delighted by you until the end of my life. It is very important to communicate with such clever people as Huseyin and its friends and neighbors. I am think every day how to will create some projects with you. I am full of hope to will come back to this awesome place and to you ! With great respect my captain. 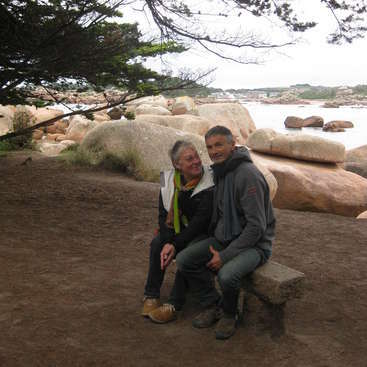 We spent 10 wonderful winter days with my son on the island. Work was sewing, painting, sanding, covering the boat with polyester, filling holes, holding what needs to be holded ... Huseyin is happy to share his skills. I found interesting the way he made us part of the project wether by building, fixing or even thinking together. You need to like… read more team work and team life to feel confortable at this place. I also appreciated very much that Huseyin made it possible for my son to go to school and be with other kids. He was really helpful and quick ! Friends and neighbours are never very far, I enjoyed meeting these nice people, sharing eggplant salad, fried fish or turkish songs. We have had good laughs, this place was difficult to leave ! It's a great honor to know you, Domitil & Mareous Roze . You have added joy, joy and happiness to our days. It is a great privilege for me to spend time with you, to work, to have fun, to eat, to drink and even to breathe in the same air. The scars of memories that will not be forgotten in a very short time.They are still everywhere. Domitil,… read more super human, mother, friend, comrade. From the first day she was adapted to the team and increased team motivation. We made paint, polyester, iron and sailing rig. I've planted a cushion. she is a highly responsible, clean, moral, sparkling person. I vouch for everything. Domitil, please come back home. We'll miss you for a lifetime. Have a nice trip and good luck. awesome man . Alejandro has taken positive energy with him and he was always friendly , clean , tidy . He fallow my rules and also he helped a lot while we working. We have had great time with him and we become friends. Thank you to come and stay .I m looking forward to see him again in my property . I had a blast. To be honest, I did not expect this to be as good as it was. Hüseyin made it all great and really put an effort to make our stay great and comfy. We worked hard some days and chilled hard some days as well. If you happen to stop by, I'm 100% possitive that you will find it great as well. Awesome and nice island, It is different than… read more other parts of Turkey, less conservative and free, his friends are cool, living the life, we drank uzo, learned the language, had tons of fun, ate turkish food that, by the way, Hüseyin knows how to make, so you can learn a lot from him but not only from the food but from all he does (he literally does everything from fixing small stuff to literally build boats and sail all by himself and bike around the globe). Cool dude, great man, definitely made a good friend in Turkey and had an awesome experience. We enjoyed very nice chats about life in Turkey and in Belgium, and we also exchanged many recipes during the rainy… read more days! We spent about two weeks at Hüseyin’s and we had a great time! We really enjoyed being part of his nice island life and doing whatever he needed us to do to help the community. From olive picking to wood cutting, from fishing to fixing a boat, we learnt a lot. But we will especially remember the warmest Turkish evenings in the backyard around the… read more table with all the neighbours and a nice glass of homemade ouzo in the hand! The island is very nice and has quite a unique, relaxed atmosphere. We had enough time off to explore the places around, and the work was diverse and interesting. Hüseyin took good care of us so we felt like at home straight from the beginning. We definitely recommend this place! Thank you for everything Hüseyin, we hope to come back one day! Adel & Alex have been in my team like 2 weeks time. Because of the whether getting cold and wet we couldn't work outside everyday. We weld , polyester, fiberglass , painting , little carpentry, fishing , planting and cleaning in the house. They are clean , friendly , hard working , understanding , responsible people. We have had dinner on my back… read more yard and made music with Alex and friends. I wish you a very good life and always well come to my life. This was my first experience with work away and I can say that I was so lucky to get an amazing host. He picked my up from my hotel, and was so kind right away. We did various jobs where he was always informative, helpful. He integrated me into Turkish Island life and that's exactly why I joined this site. We ate at his parents place almost every… read more day. I felt so welcomed as part of the family. I can honesty say I will meet up with him again. Most likely sooner then later. Darcy is a %100 team working guy. He is very cooperative and understands every single details very well. We sail, carpentry, gardening, house works and fun. He become my part of family. He is generous, communicative, good friend, trustful and kind. I hope all the best for Darcy. Darcy, you have house in my little island. You always welcome. Thank you Marta. You were so nice to all of us here. As you mentioned we have no boat building project just because of the economic reasons however we have had excellent success with planting and the other simple daily jobs. Marta is very good at cooking, cleaning, team work, understanding, and esc. She understands very quickly and act as… read more specialist. I wish I want to work in a team with her future rojects. It was very nice to meet you Marta. Huseyin's house is a wonderful place to understand how life in this part of Turkey goes. I had the chance to meet all the neighbours and to actually be part of the family so much that I felt home very soon. 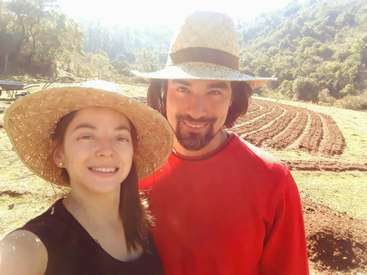 Even if there was no boat construction project, we spent wonderful time together sailing, visiting the local market, enjoying evening parties,… read more helping the neighbours and living the small simple beauties of life. Huseyin is an artist and a man full of resources, always ready to help, explain and share. Staying at his place means not only to join his life, but also to get in touch with all the community and to be part of it at last for the time you spend there. Plus, Huseyin gave me a lot of advices on how to travel in Turkey! I had such fun and nice time that I feel lucky to have been there and I really hope to visit Cunda and its marvellous inhabitants again. hello all . I would like to thank Cedric for being second sets of hands in my team . During the staying time . We went fishing , repairing, site cleaning and some electrical jobs. Cedric is very cooperative in team work and also in family life. he is responsible person. Clean and polite. I wish I want to see him around here in the future . Good… read more luck Cedric we all gonna miss you . Amasing couple. We paint sail cook music and motorbike trip. Jordan and lilli both friendly thougtfull clean easygoing and coorporative guys. I wish l want to meet and spent some time together. Thank you for join my team. livia was very polite and nice person. She is keeping smile and ready to help almost all projects. She came and we sail together . She helped at house and on the boat. Have a good luck for the future Livia. I spent just a few days here but it was more than amazing. There are lots of things to learn and to see here. I learned about to aegean culture a lot and saw one of the best sea wievs of my life. Huseyin is a nice guy, great musician and has perfect family and friends. Hope to coming here again one day, helping more and see that nice people. Also… read more hear to perfect sound of Huseyin’s music. Namu stay short period of time . He was very successful what ever he does on projects. 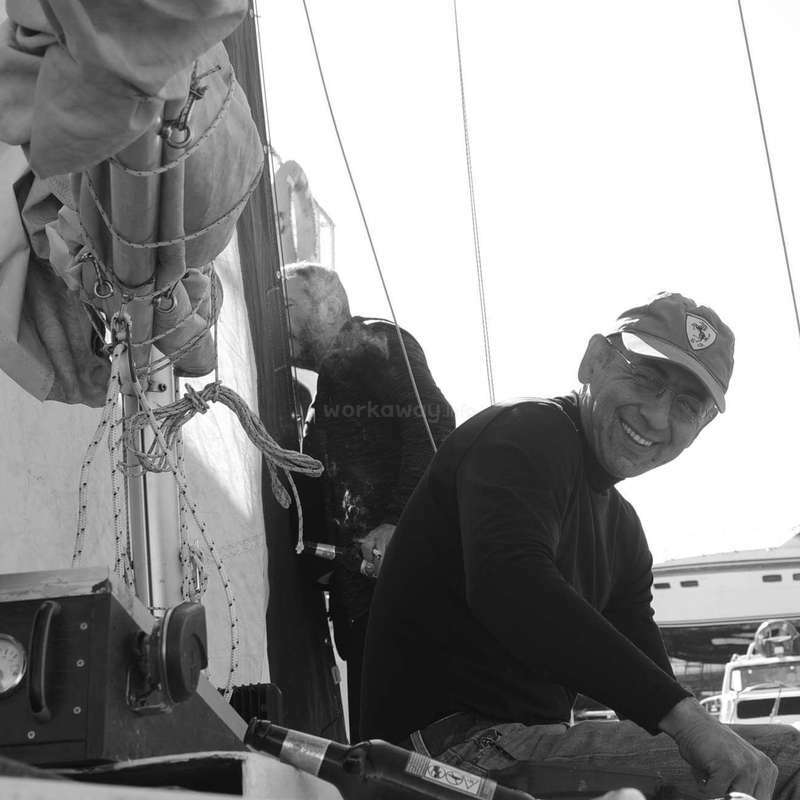 He assist me while we were sailing , welding , fixing the sails,mast and bumba . we cook and made music together . He is open minded and friendly person we sheared and talk on specific topics. He is clean and responsible guy and he also never hesitate to shear… read more what he owns. Thank you namu that you came and join my project. I hope you a good luck for your next jurney. I wish I want to see you again. 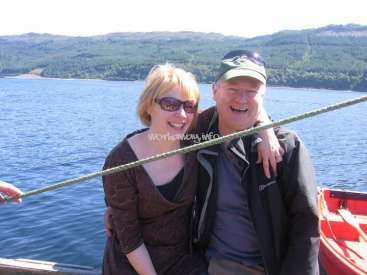 John is easygoing , smart , respectful , clean , hardworking, cooperative man. We work together in some little daily projects and also we sail together with my sail boat. He learn how to weld , how to live on a small sail boat , how to cook a basic turkish foods. I wish I want the best for him on his next adventures. Thank you to join my team… read more even the short time. I would like to spent some more time with you on the future. these two brave-heart little angels knock my door at the beginning of February 2018 while I was having difficulty to build up my 6.50 m Yeltes Halley . They were ready to work from the first day and just in some hours our working time become a big fun time. During the 6 weeks we work on . sewing, painting , gardening , boat decorating , cooking ,… read more carpentry , music , welding and of course fixing all sail accessories on the boat. when ever we find a good philosophic topic to talk about than we started to discuss about the topic. 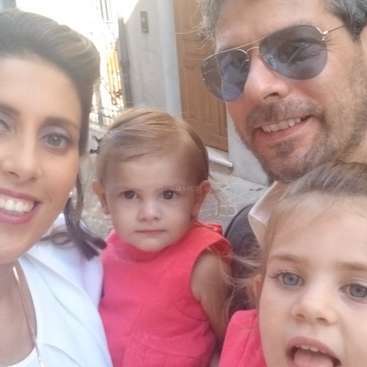 Me and my angels also created a new style anchor which has never used in my territory and which has been build on Lily's knowledge and experience ( Thank you lily . I proud of you ) I m still using the new anchor and I also got some orders from the other boat owners. We did a lot about Coulter exchange and we have had great evenings with my friends and the families around my house . Thank you for those unforgettable memories that we lived together. As I told you you will always well come to my land and my life . I wish I want to bets for rest of your life . Keep smile and work. We have so much to say about this place and most of all about Hüsseyin but we will try to be short, also because some things there is no words to talk about it, you have to live it. Hüsseyin make you feel at home from the first second, and he will try to teach you many thing and if you are ready for it, and willing to try your best, maybe you can… read more catch it. Because he is hyperactive you will never be bored, wich doesn't mean you are working all the time but just doing something different all the time. He is also so generous probably too much, and such a good cook, definitely a person with great expectations, with make him a beautiful person. As usual we didn't know what to expect when we came here, but we left with so much more than we thought. We have learnt a lot but surely not only about boat... we also had a great time with all his family and friend wich are all fun and living people all in their own beautifull way. One of our best experience, even though each of them was unique. The island is amazing and we will definitely come back to see you and sail with you even though you probably don't believe us! Çok teşekur ederim for every single thing. Huseyin was kind and generous. He met us at the bus station, brought us to his home and flung the door wide open. While he worked energetically, he invited us to work at a comfortable pace. We enjoyed working on the boat, even though we didn't get to see it sail (yet). He's a stellar host, and our stay in Ayvalik was comfortable and fun. 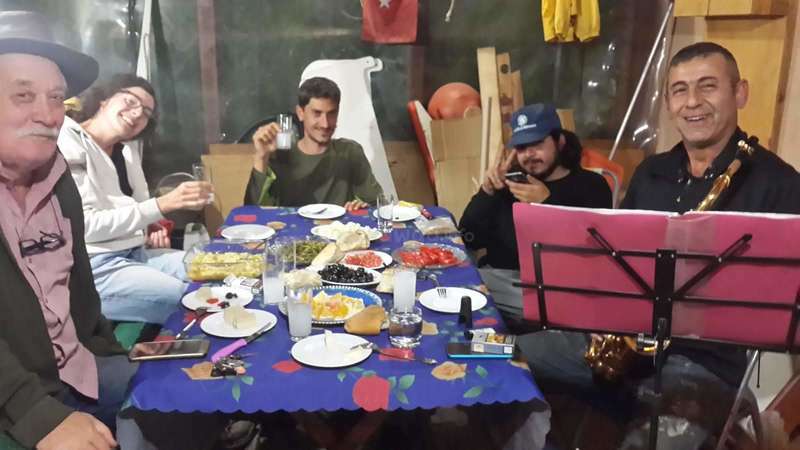 Sharing… read more delicious meals with Huseyin's friends, engaging in meaningful conversations, making music together and touring the area made for lasting memories. We wish him great success and safety on the water. I stayed 10 days with Hussein, the surrounding atmosphere is great with the sea just outside the window and the lovely welcoming neighborhood. Every evening we sat in the garden with Hussein friends and family to have fun, some music and good food and occasionally trips to the city and bazaar. I painted fences in the street while Hussein went to… read more istanbul to bring a new boat, then we worked together to take apart the old paint, accessories and damaged wood, unfortunately i didnt stay to see the building part and actually sail on it but that is for the next time. The work was very relaxed with no time pressure and on rainy days we stayed inside. Hussein is warm and interesting person with a lot of knowledge and ideas, that made me feel at home and enjoy my time, the house is always busy with some friends visiting, joining for barbeque or helping with the work. Good luck finishing the boat, send my regards to anwer and ismet. 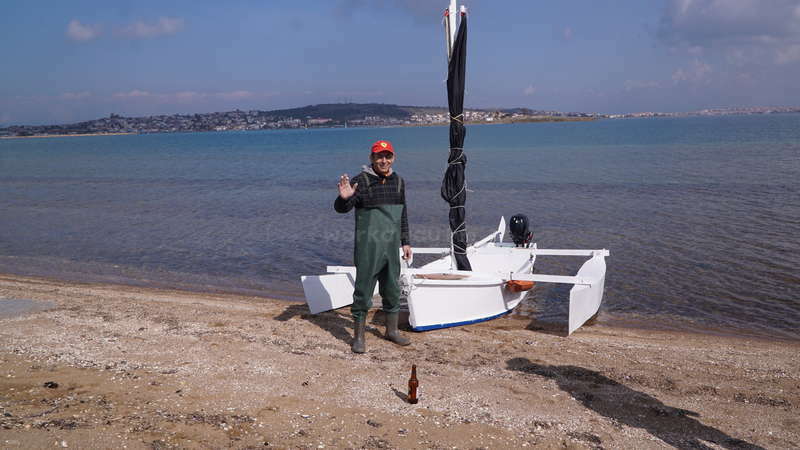 It was great to share the boat construction with Hüseyin, because he is very open with his knowledge and his new ideas. A very restless man searching for interesting projects and always involving the others. We had an unforgetable time with Huseyin and even stayed two weeks longer than first planned! He is a very inspirational person and he warmhearted welcomed us to Cunda Island. We became friends during the time and it was amazing to be part of his family life and to be integrated into his social life. We enjoyed building boats with him as he makes… read more a lot of fun during working and we enjoyed spending all time together making motorcicle trips around the Island, making Music together with his Saxophone and our Instruments and making barbeques in the evening while sitting outside and having really good conversations. Huseyin showed us how to sail and we made some amazing trips to the surrounding small Islands, having barbeques there and enyoing life… All in one: there’s no word to describe how much fun we had and it’s great to know that we can count on Huseyin. We’re looking forward to see you again, Huseyin and thanks again for everything! 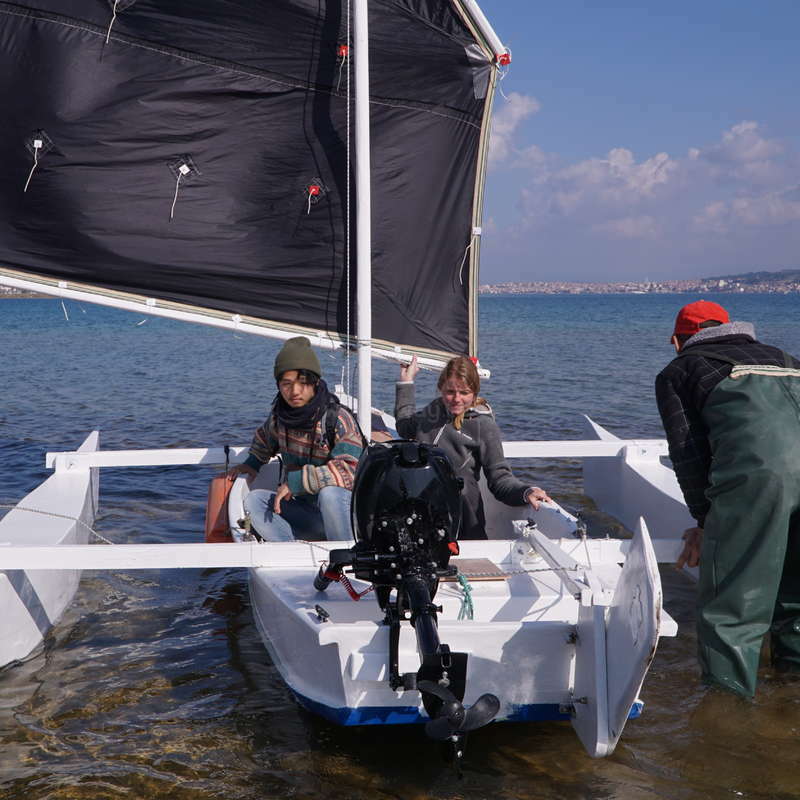 Cris and katrin helped me for a mount time to build and redesign my boat. We spent almost all time together . They are responsible , clean , hard worker , creative , and both of them are artist. We also celebrate my birthday together. We sail , ride around made music and had fun. Katrin is very good cook we ate her delicious food every day and… read more she also took care of all cleaning washing dishing in the house. Thank you Katrin and cris . I will miss you very much and I hope to see you soon. As you know My house is yours .When ever you have time or you need a place to stay you don't need to ask permission .Just come and good luck for your life adventure I hope all best for you . Lisa is very friendly and positive person. She joined all the activities what we had. We ride around with motorbike. We sail around islands. We sew 2 new sail together with her and paint and do many other job in short time. I hope all the best and good luck to lisa for the rest of her life. Looking for person to help in our family living on a croft on the Isle of Skye.